This weekend, Hayao Miyazaki revealed that the title of his last film will be Kimitachi wa Dou Ikiru ka (“How do you live?”). The title is from a book by the same name written by Genzaburo Yoshino (1899-1981), who started writing children’s books during the 1930s because he realized the Imperial government was not heavily censoring them. Yoshino wrote stories with liberal themes to teach children. Kimitachi wa Dou Ikiru ka, for example, covers class equality, socialist philosophy and even Marxist economics. The original book tells the story of a young boy who begins to think for himself. For Miyazaki, taking book titles for films isn’t new. As ANN points out, Miyazaki’s 2013 film Kaze Tachinu (The Wind Rises in English) took its title from Tatsuo Hori’s novel Kaze Tachinu. 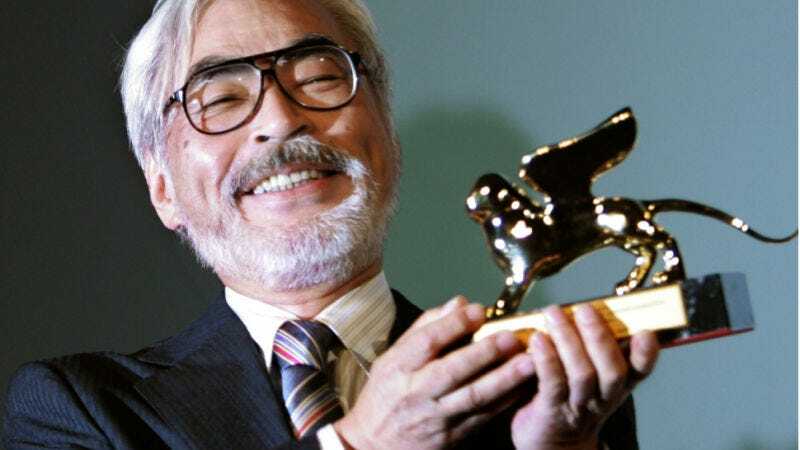 “The film is about how this particular book featured prominently in the protagonist’s life,” Miyazaki said this weekend. “It will take three to four years to complete the anime.” According to The Asahi Shimbun, Miyazaki mentioned the project while speaking at the Natsume Soseki Memorial Museum at Waseda University in Tokyo. Previously, Kotaku reported that Miyazaki was working on a CG anime short titled Boro the Caterpillar. When Miyazaki first announced he wanted to return to feature films, he said he hoped to finish the project by 2020. It looks like the film might not be done until 2021.